It is now possible to create mappings of Raw values to the Clean counterparts that can be applied to Tables within the platform. Any time a new record is added to the Tables with the mappings, the data will be checked for the raw value. If the data is found, it will be replaced with the clean value. 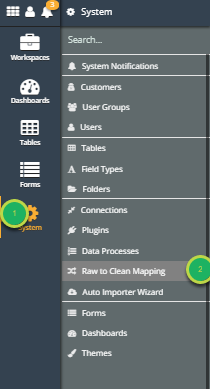 To open "Raw to Clean Mapping", click the System icon and then click on "Raw to Clean Mapping"
Click the plus button (+) to add a Raw to Clean Mapping. 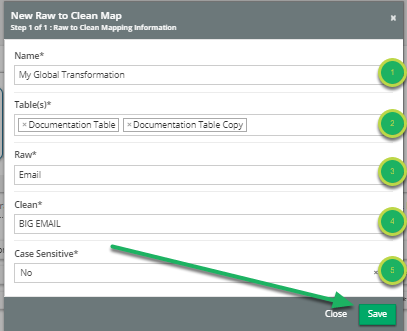 Fill out the New Raw to Clean Map modal information. Name: The name of this map within the system. Table(s): The Tables that this map will affect. Raw: The data before the transformation is applied. Clean: The data after the transformation is applied. Case Sensitive: Should the Raw data be matched by case? Any new records added to the selected Tables will have the mappings applied. 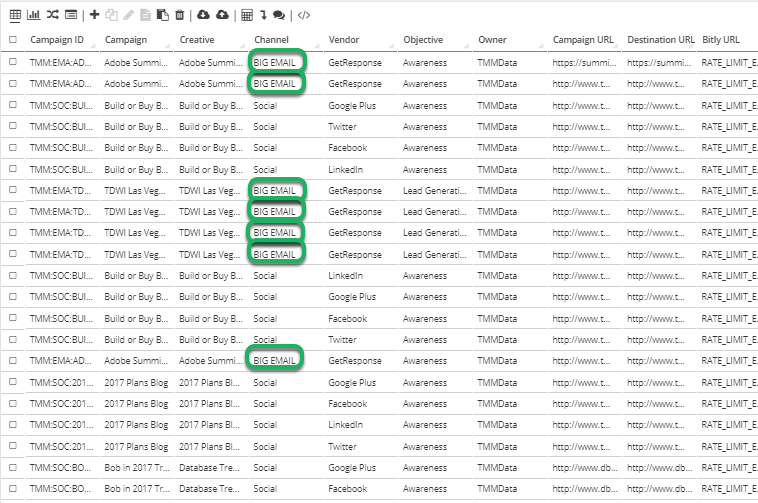 Prev: Reconfigure Connection: Connector Tables Can Now Be Reconfigured Easily. Next: You May Now Import Microsoft Access Database Files Into the Foundation Platform.